"zen CD29" (spine) / "zenCD29" (CD). Bricolage. A process which uses given material, given signifiers (a text, a chord sequence) but which creates from these new signifiers, a new reality which is not given. "The bricoleur may not ever complete his purpose but he always puts something of himself into it". The Savage Mind. Levi Strauss. Design & photography taken in Seattle, August '96. ℗ & © Ninja Tune 1997. Track 3: listed in booklet wrongly as "Yasawa". i find myself back here streaming this album and listening to it whenever i can on wax. takes a few listens to really get into it, but i will always find something new to key on with each listen that i didn't pick up before. it's hard to put your finger on the character of the album itself, there are so many sonic twists and turns, so many different moods, so many different vibes and settings. 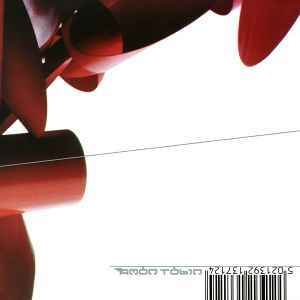 amon tobin is a legend for this one, it pushes boundaries in both arrangement and texture that haven't really been topped to this day. Bricolage is as amazing an album as Supermodified, imho. it is an easy jazzy ocean of orchestration i love and expect from Amon Tobin. This is the kind of masterpiece which every music lover should have in this collection, such an incredible pleasure to listen from the 1st track to the last one. Check Cujo - adventures in foam, this is amazing too! Immaculate phantasmagoria. Assembled with the care and love. Flawlessly mixed and always ready to send you to another world. A truly inspirational piece of experimental sonic art, standing the test of time. My experience is very similar to that of the reviewer below. Early on, it sounded excessively experimental and a bit harsh/annoying. Only after repeated listens did I realize how deep, mature, and intricate this music is. It's one of the most thoughtful DnB albums out there, which says a lot.